Pictures of meat, covered with delicious barbecue sauce. A perfect addition for open wounds. Pictures of teeth with a wide opened mouth. Ideal, if you want to destroy a face. 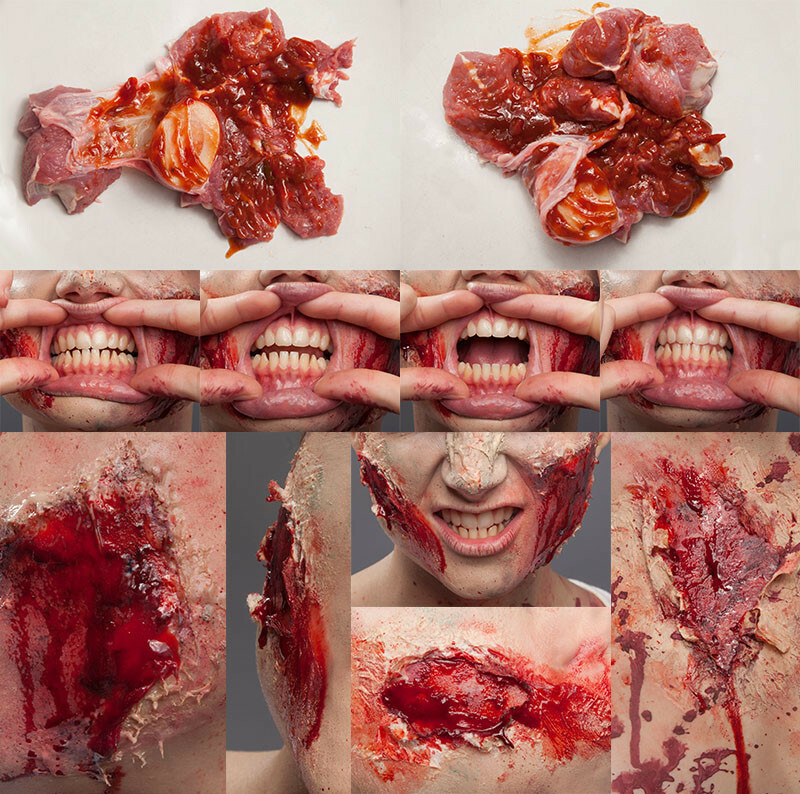 Pictures of wounds, created by our special effects make-up-artist. Wrinkles on a 50% grey background. Veins on a transparent layer. 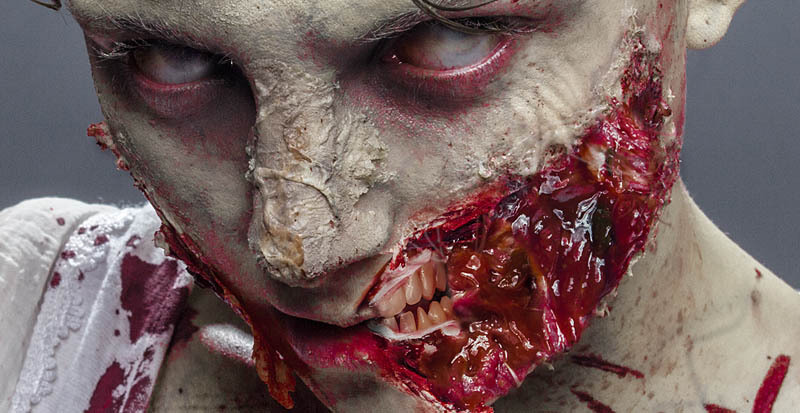 To see the horror texture in action, make sure to watch our The Walking Zombie Tutorial. tried to reach you about a week ago. I wrote you concerning your horror textures. I am working on a payed project and would like to include maybe some of your stock images. You didnt write anything about the copyright and how you deal with these things. Would be great, if you could let me know.